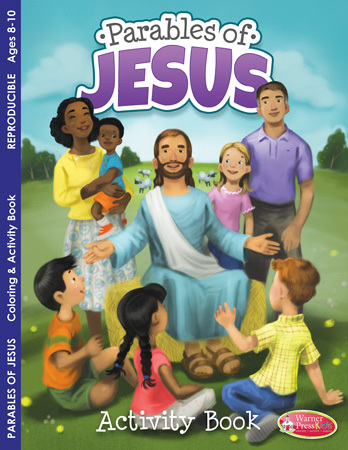 This Parables of Jesus activity book retells some of the stories Jesus told in a simple way that children can understand. Each story is reinforced with an activity to help children remember what they have learned. The illustrations and activities are designed for children (ages 8-10) to enjoy. Parables of Jesus Activity Book by Tucker-Bays, Linda was published by Warner Press in January 2017 and is our 8575th best seller. The ISBN for Parables of Jesus Activity Book is 9781593179151. Be the first to review Parables of Jesus Activity Book! Got a question? No problem! Just click here to ask us about Parables of Jesus Activity Book.